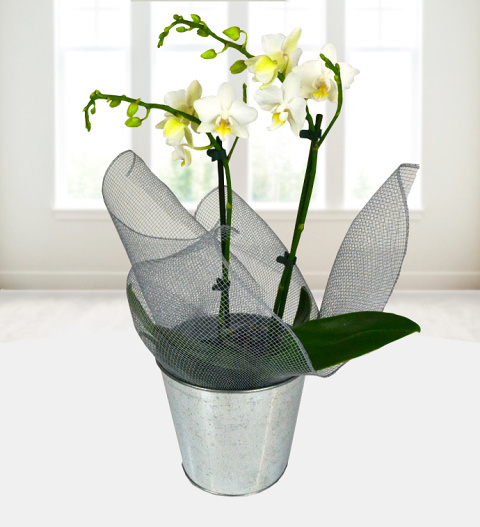 Perfect for any occasion is our white phalaenopsis orchid. A beautiful fragrant and elegantly presented in a tin pot with ornate wrap. Perfect for the indoors and easy to look after the white Christmas orchid comes with a free box of Belgian chocolates and is available for UK next day delivery. Chocolates may contain nuts.